The P120C solid-fuel rocket motor that will power Ariane 6 and Vega-C at liftoff has been transferred to the test stand for its first hot firing at Europe’s Spaceport. P120C will replace P80 as the first stage motor of Vega-C, which is expected to debut in mid-2019 and comprises four stages. Three stages will use solid-propellant motors and one will use liquid propellants. The first stage is the P120C, the largest monolithic carbon fiber solid-propellant rocket motor ever built. Two or four P120Cs will also be strapped onto Ariane 6 as boosters for liftoff. The second stage of Vega-C will be the new Zefiro-40 (Z40) motor with 36 t of solid propellant providing an average thrust of 1100 kN. The Zefiro-9 third stage, currently used on Vega, burns 10 t of solid propellant while the the AVUM+ upper stage for orbital positioning and attitude control is derived from the current Vega AVUM but has a lighter structure. It carries more propellant inside larger tanks and features several new European-developed components. AVUM+ has a propellant mass of 0.74 t and the main engine will provide an average thrust of 2.45 kN. 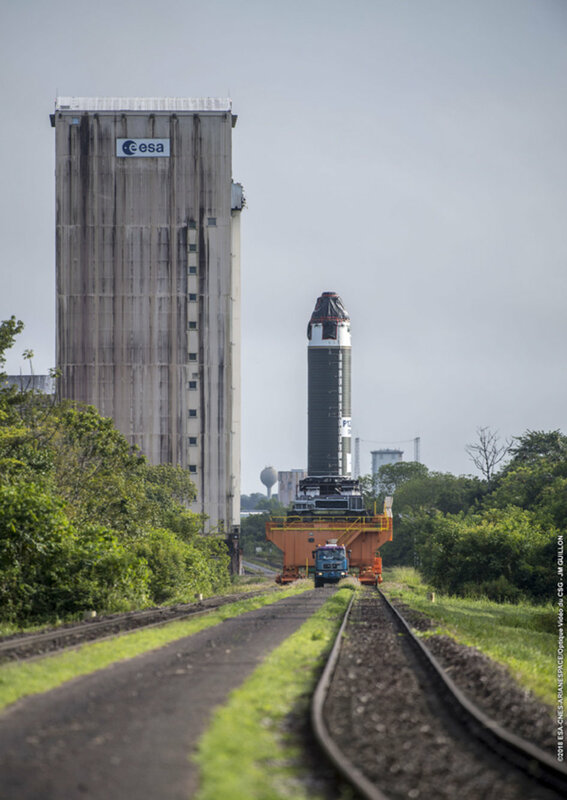 The total length of Vega-C is about 35 m with a mass at liftoff of 210 t, a significant increase over the current Vega’s 130 t, and it will be launched from the same site used for Vega at Europe’s Spaceport in Kourou, French Guiana.